Another rather sparsely attended meeting - which we are blaming on unseasonably warm weather and a clash with ExpoEM at Bracknell. Richard brought along some driving wheels that he had remounted onto extended axles for a forthcoming outside-framed locomotive, together with a heavily modified J50, and a Deltic Prototype awaiting re-wheeling. Justin had an almost-finished Turnout Operating Unit (sorry no photos), and a couple of books with a variety of possible layout plans (more later). 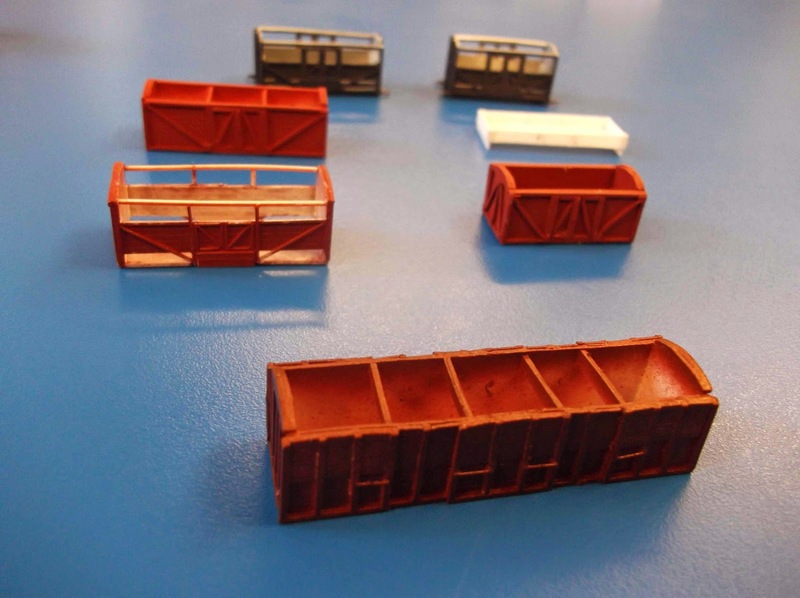 I had intended to build some coaching stock and continue searching for a satisfactory way to reproduce the early panelled GWR livery, but events had conspired to frustrate this (broken soldering iron) so I had switched to plan B - scratchbuilding a variety of wagon bodies. These were mostly of North Staffordshire Railway origin, together with a couple of LNWR cattle wagons. Whilst bodies were largely complete, underframes were unfinished (and therefore not on display) - the excuse for procrastination being uncertainty about how to produce appropriate axle boxes. 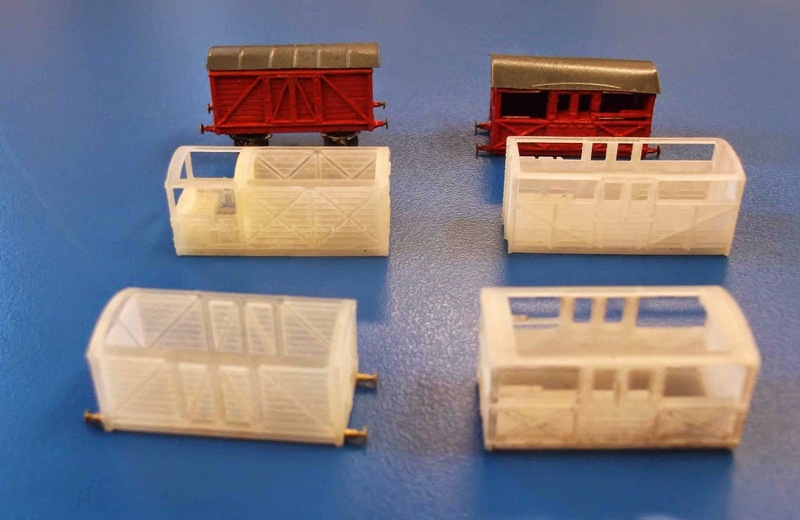 I had also picked up a selection of 3D printed GWR wagon bodies from Ian Smith at the recent Epsom and Ewell show, one of which was almost finished (another day needed in the paint shop). 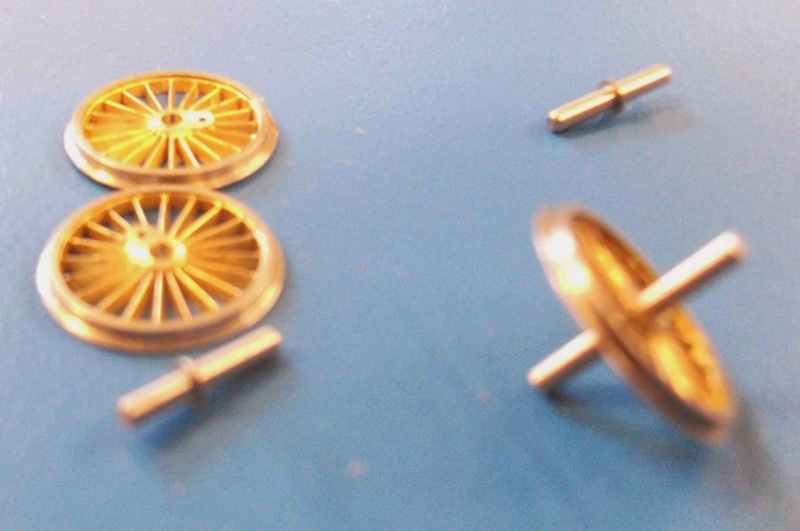 There followed some discussion on how to tackle imperfections in the finish of 3D printed material. Most of the meeting was spent discussing the proposal to build a small "club" layout - not to be confused with Copenhagen Fields. Whilst it would be useful to have input from other group members, the consensus was favourable, and it is intended to come up with some concrete proposals for the September meeting. Interchangeable buildings to allow variety - e.g. to transplant the layout to Manchester or the Potteries. Probably initially build for DC operation, but allow for the possibility to convert to DCC. 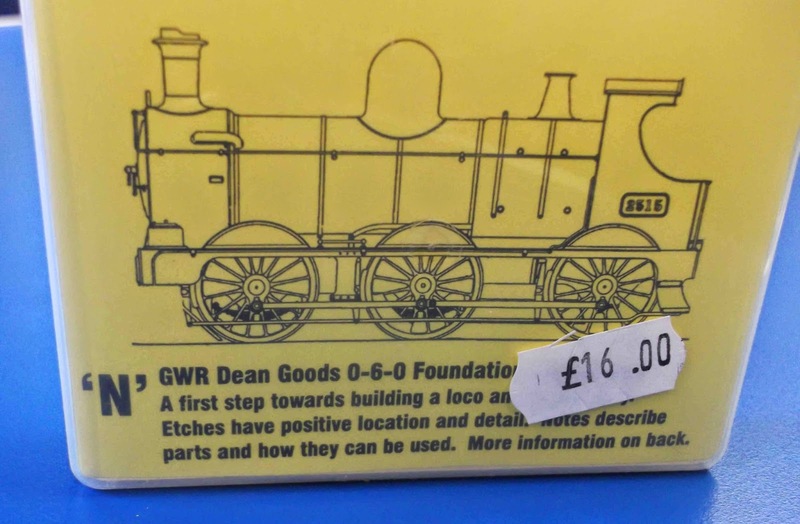 Not forgetting - some evidence that the long-awaited Dean Goods body kit from Nick Tilston is finally available (mostly), so might be making an appearance on Lambourn sometime in the future.